A fabulous collection of family friendly holiday homes and resorts all within walking distance (or complimentary shuttle bus) to the beach. From private villas with swimming pools and quirky countryside holiday cottages to self catering apartments and child friendly resorts. There is something here for every type of family holiday by the beach and many have amazing sea views too. This special and unusual property is ideal for a couple and a baby. It has its own private sunny courtyard, hidden in the flower gardens of a grand Georgian Grade II Listed house on the Quay overlooking the historic port of Charlestown. A comfortable, grade II listed cottage 300 yards from the quay of the historic port of Charlestown and set back from the bustle of the village by its long path and lawn. A luxury child-friendly holiday cottage with stunning views of the sea, coast and valley. Its hillside location is a mere 300m to Downderry beach. Beautiful townhouse with private heated pool ideal for large families or more than one family holidaying together. Located in a quaint town with restaurants within walking distance. A stylish holiday cottage, refurbished in 2012 and just 100 yards from the sea, from which to explore the Cornish coast and it?s attractions. This elegant, beautifully decorated family-friendly house is the original wing of a grand Georgian Grade II Listed house overlooking the historic Port of Charlestown. It has with everything you could want for babies and toddlers. Traditional holiday home in the centre of Argelès-sur-mer, with easy access to the beach and all amenities on the doorstep. This lovely child-friendly holiday home has small private pool which is enclosed and small lawn area with undercover patio for outside dining. Ideal for a family looking for a private holiday home in the centre ville within walking distance to beachs. This toddler friendly seaside cottage is the perfect base from which to explore this lovely part of northern France. 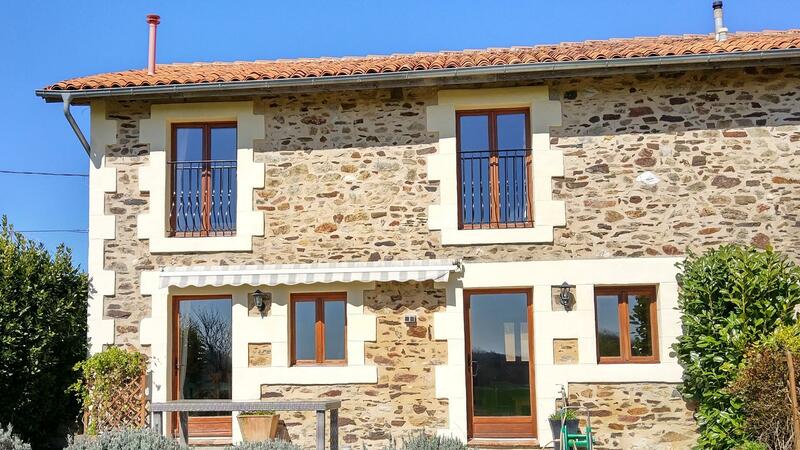 700 metres from the beach and with lots of kids facilities and in the French village of Longues-sur-Mer, La Ferme de Longues is ideal for a family holiday close to the beach in Normandy. This beautifully renovated manor house is located a short walk from a lovely wide sandy beach and boasts secluded private gardens. An ideal base for a beach family holiday in Brittany. Many of the beaches by these lovely holiday homes are baby and toddler friendly. Some are perfect for sand-castle building while others are ideal for a little rock pooling. Here is a taster – with more being added soon, we will also have an extensive list on our blog soon, so watch this space! If you are looking for white sandy beaches that are baby and toddler friendly then look towards the Caribbean where the sand is pristine and white and the sea views un interrupted with a more guaranteed climate than the UK. Spain offers some stunning beaches too, the Costa Brava is home to the Playa Muchavista beach, a quiet stretch of sand that is actually a continuation of Alicante’s longest beach, Playa de San Juan. It is a short walk to three fabulous baby and toddler friendly holiday homes situated in a quiet residential area with communal swimming pool. Heading north is the beautiful child friendly villa in the beautiful development Guadavillas and it is within a few hundred metres from San Pedro and Linda Vista beaches with a fab promenade leading all the way to Marbella. Suffolk has its fair share of sandy beaches for the family to enjoy a day building sand castles or having a little snorkel. Lowestoft is home to Claremont Pier, wonderful sandy beach with crystal blue waters. The water quality here is good too. Southwold has the Denes Beach, lovely for a stroll especially if you have a dog as the beach is dog friendly. Aldenburgh beach is well known family friendly beach as well as Walberswick Beach – home to some serious family crabbing! If you are looking for seaside attractions then head the over to the family beach in Felixstowe with lots of cafes and eateries to choose from too. For wildlife and shingle try Dunwich Beach, owned by the National Trust. For more ideas of family friendly beaches head over to our blog.